Making a bag for my hubby earlier this week made me want to start a bag for myself, probably a project bag actually. 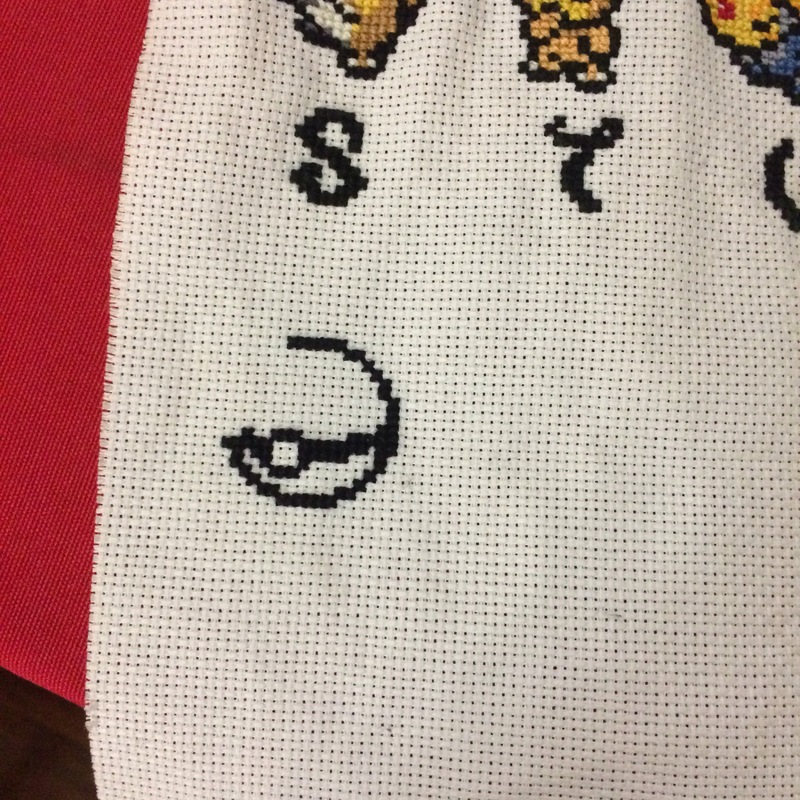 I was rummaging through my fabric bag and found this piece, which had been abandonned for at least 2 years! 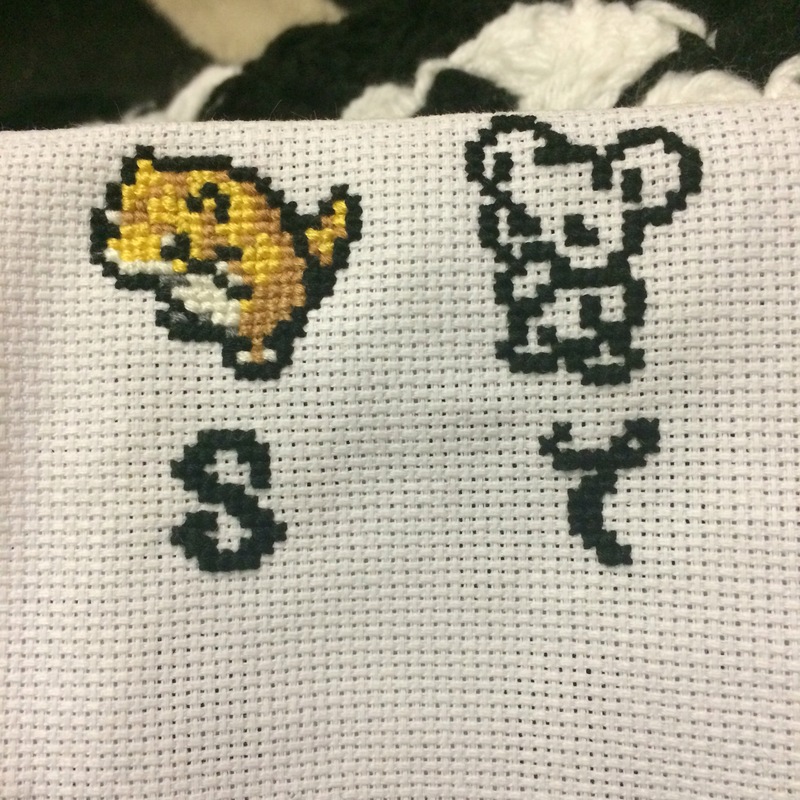 It was time to add some friends and I will turn it into the front pannel of my new bag once I finish embroidering them all! On the top right corner, I added the japanese symbol for water. 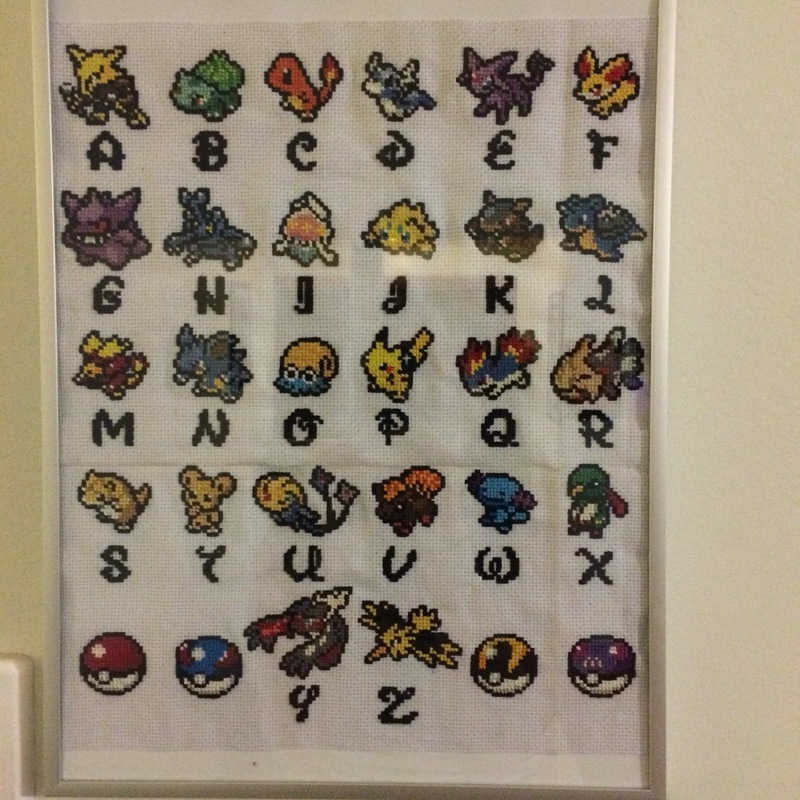 I’m going with a water pokemon theme too (they’re my favourite!) Have a great weekend! 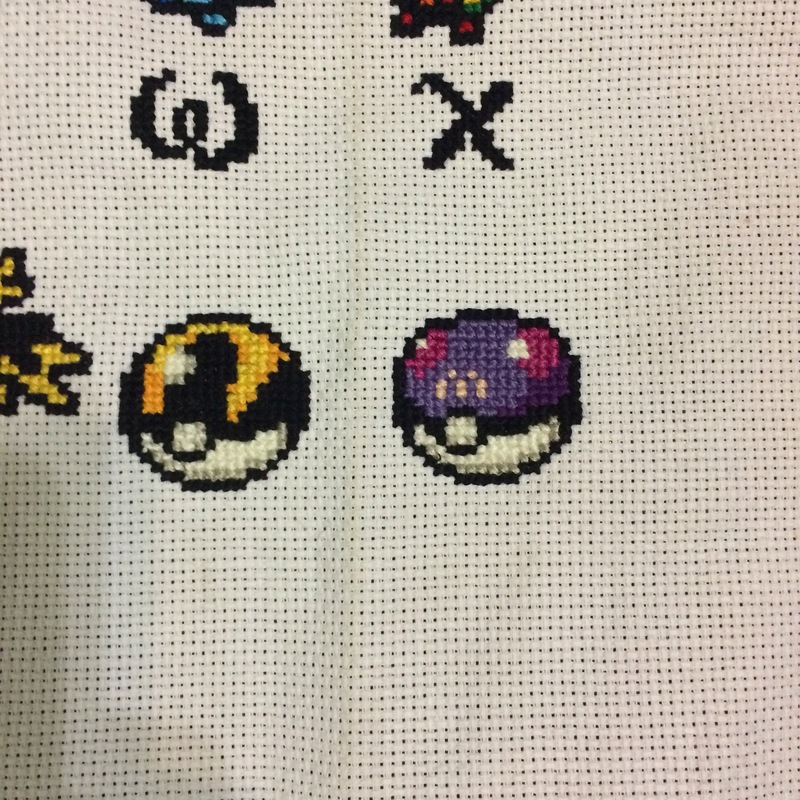 This weekend of four days has been great, but I started more projects and didn’t finish much! Oh well! 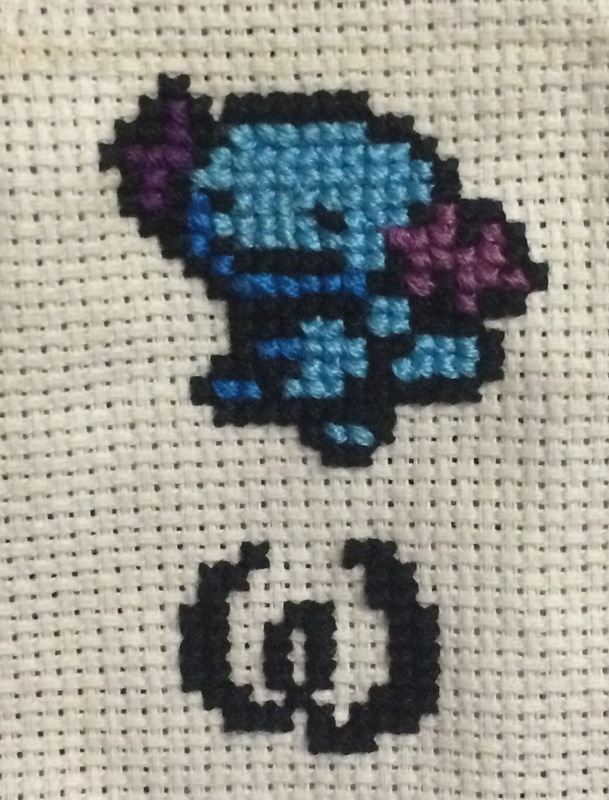 It felt good to put some fresh ideas on the hook, and I’m sure I’ll get there eventually. 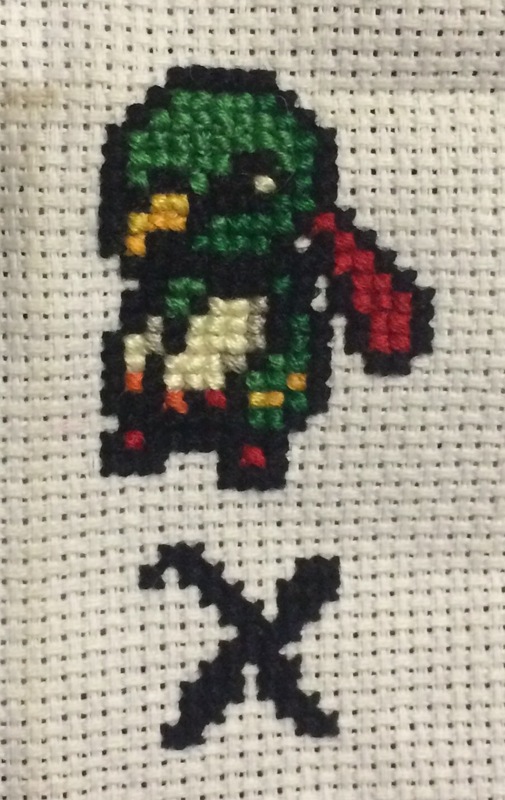 I did get to finish a small object, and it was actually very relevant to Easter! 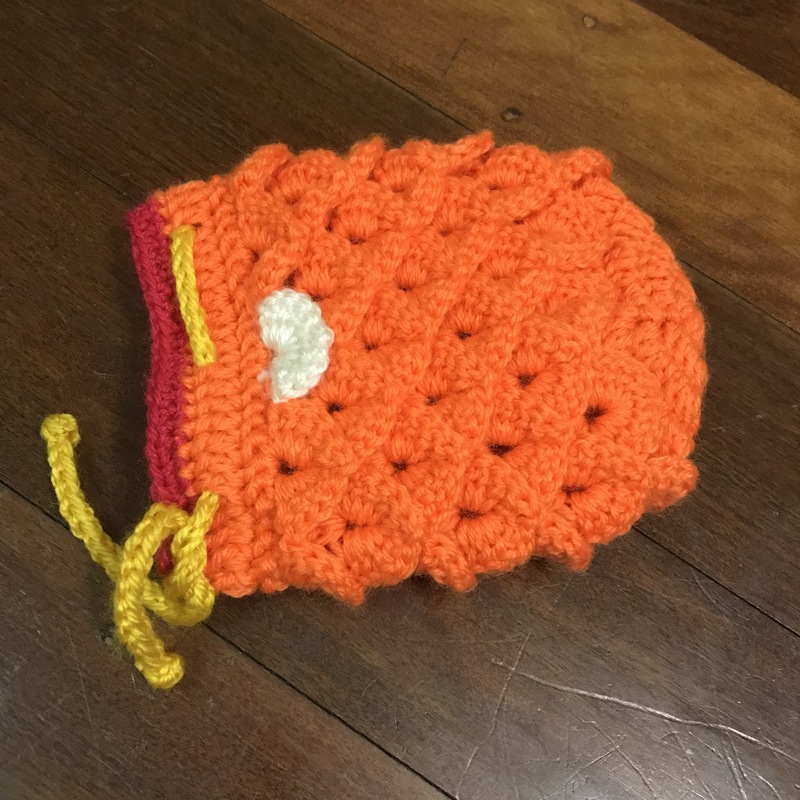 It could be either a pokemon or a yoshi egg, and it’s now my new needle/pin cushion. One of my big projects this weekend was to continue cleaning up in sight of our imminent move (we should be getting the keys this week and hopefully moving on Saturday). I found an old project in one of my hip containers, a wanna be granny square blanket. There were so many issues with this project, first I don’t know what I was thinking with those colours, they just do go together at all! Then, I was pretty silly and decided that each square would be a different design, which just did not work as they weren’t even the same size and ended up making the joining a nightmare. As a reminder, here are some pictures. So, I decided to frog it all! The only thing is that I don’t know what to make out of all this scrap yarn! Do you guys have any idea? I’ve been busy over the weekend and I have made a few more Christmas presents. 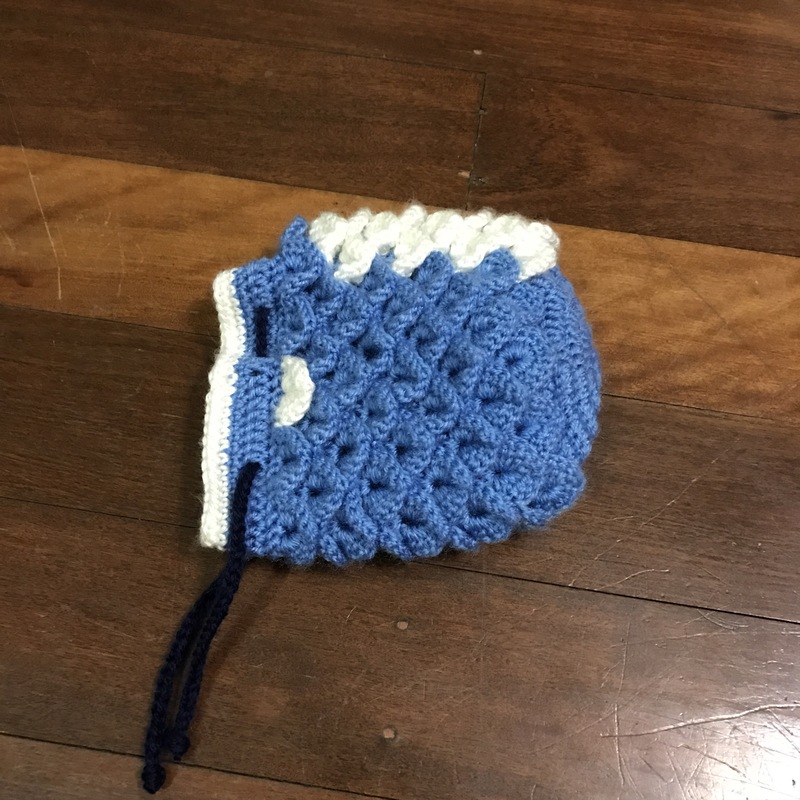 I found this pattern on ravelry to make dragon egg bags but I decided to adapt them to make a magikarp and a gyarados bag instead. Those will serve as stocking of sorts, filled with geeky goodness! Today has been all about getting organised. There are some days like that when I feel like everything need to get tidy or I can’t get anything done. 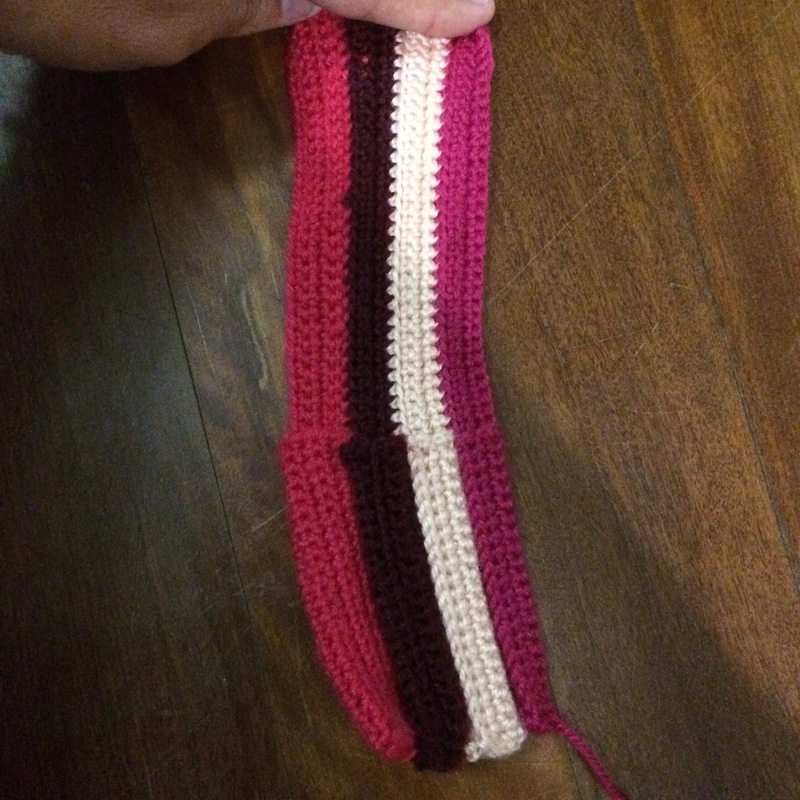 First up was continuing my crochet hook case. 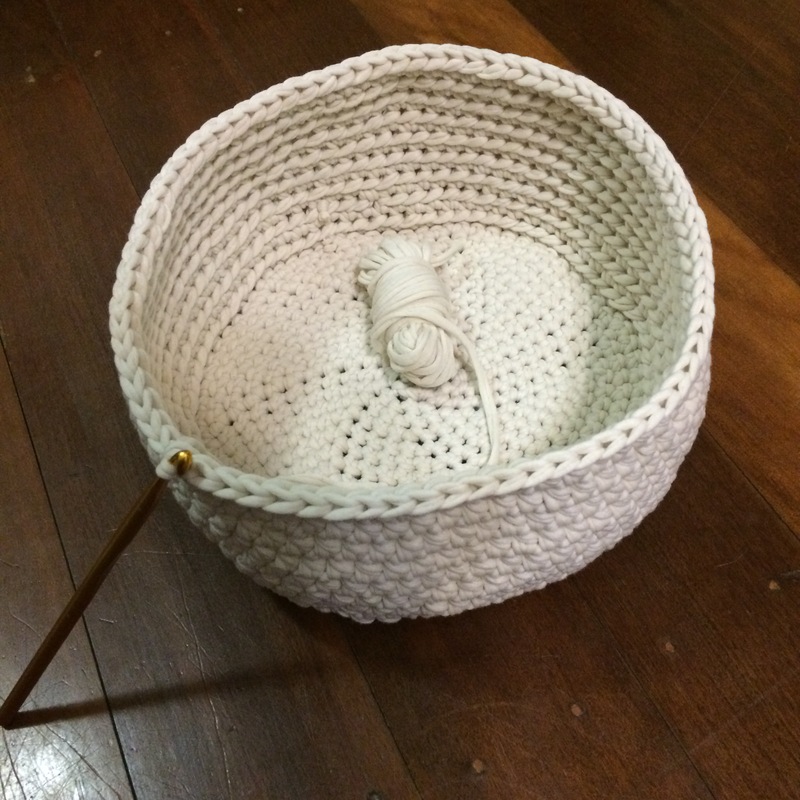 Then I started on another basket to store my ever growing stash. 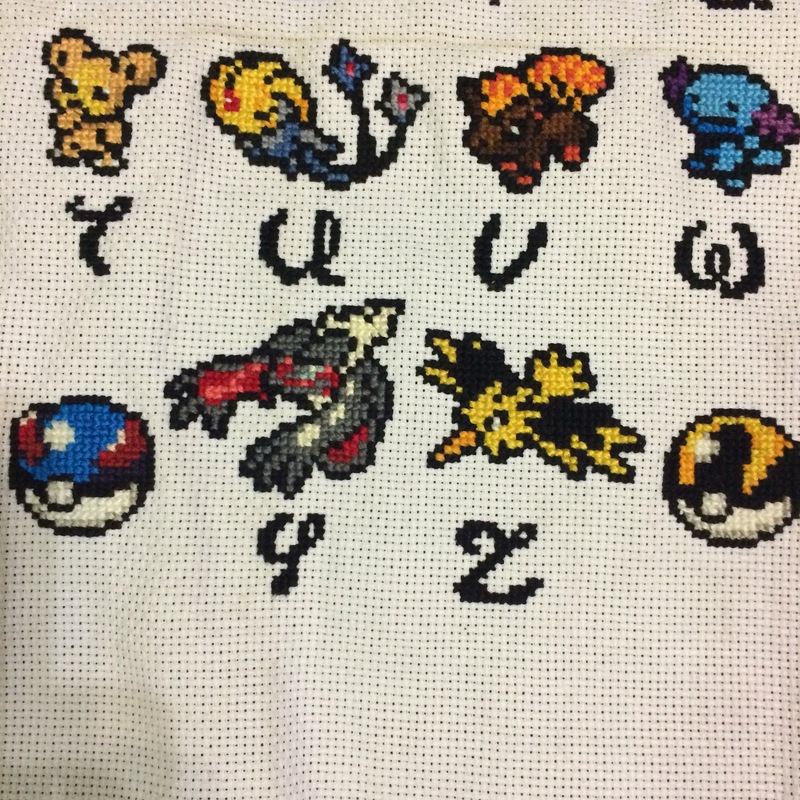 And last but not least (and not crochet related) , I started transferring and sorting all my Pokemon in my Omega Ruby version. 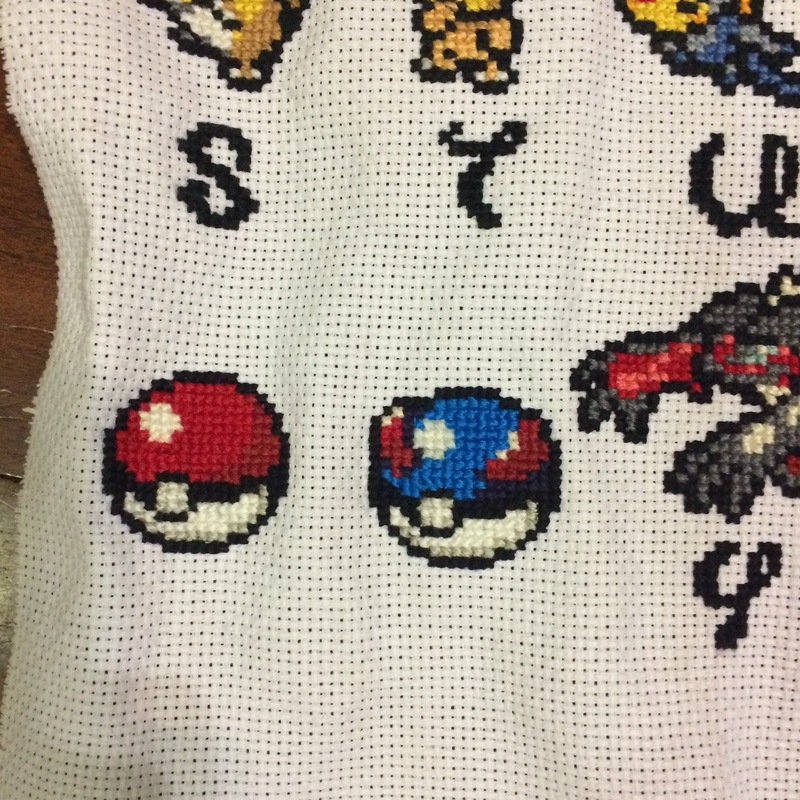 This one will take a while! 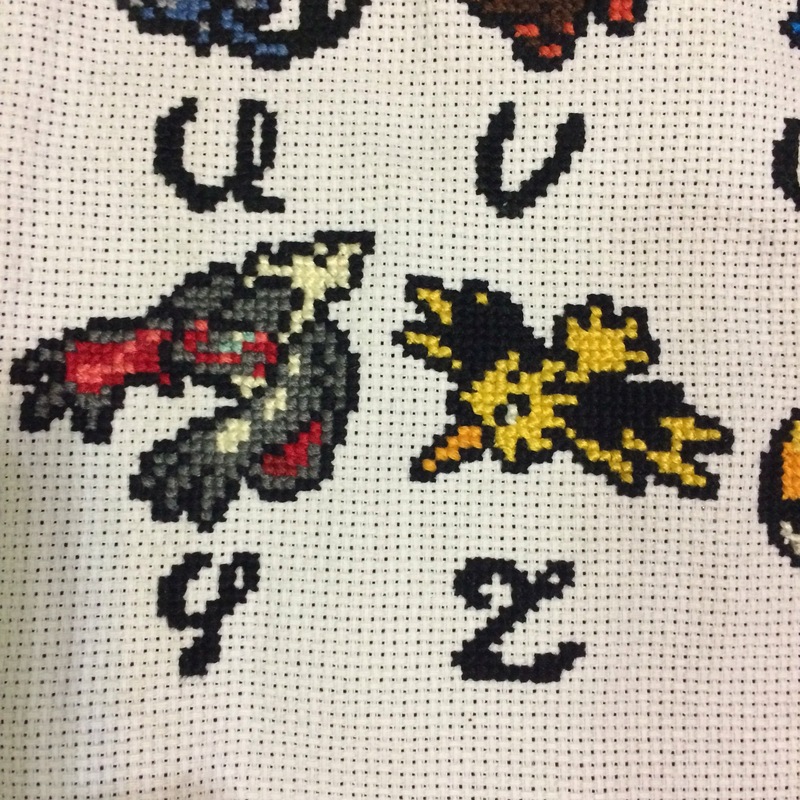 Wooper and Xatu got finished! 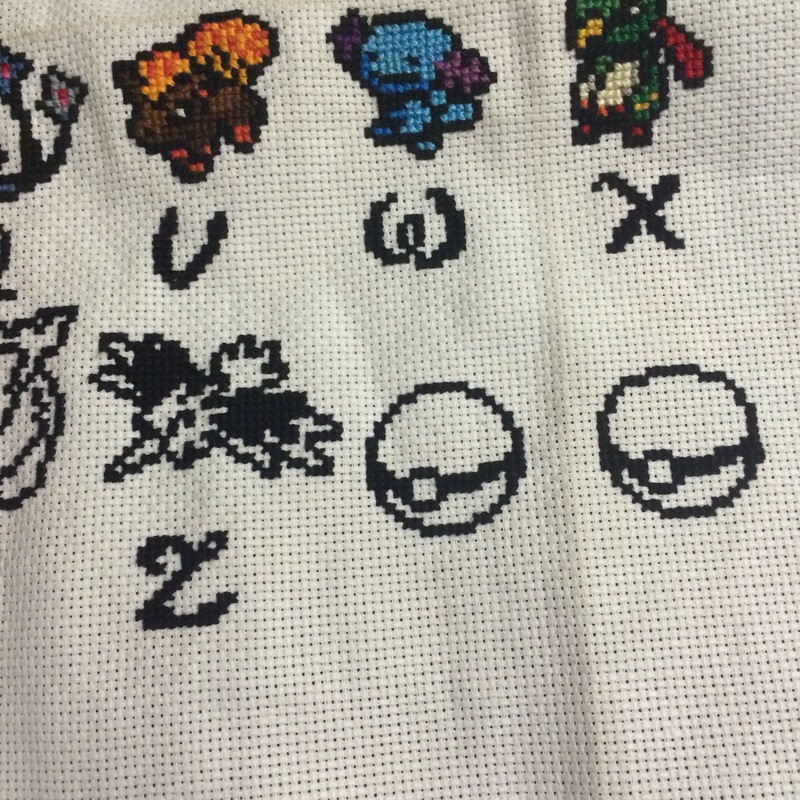 And I managed to stitch the outlines for the whole bottom row, and even get a start on the pokeball colours! This week has been pretty tough at work with Properties and Facilities giving me a hard time (those guys have just been so lazy I don’t know what their deal is) and just lots of work to do. 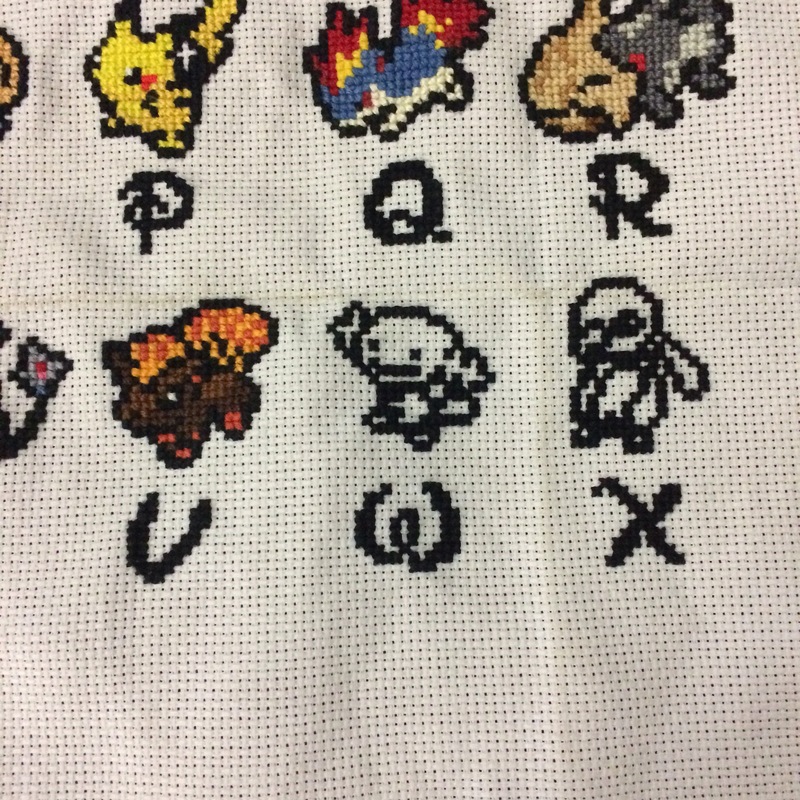 This week I’ve done some substantial progress with my poke-alphabet but I am a bit disappointed with the colours for Vulpix. Oh well, too lazy to frog it now! 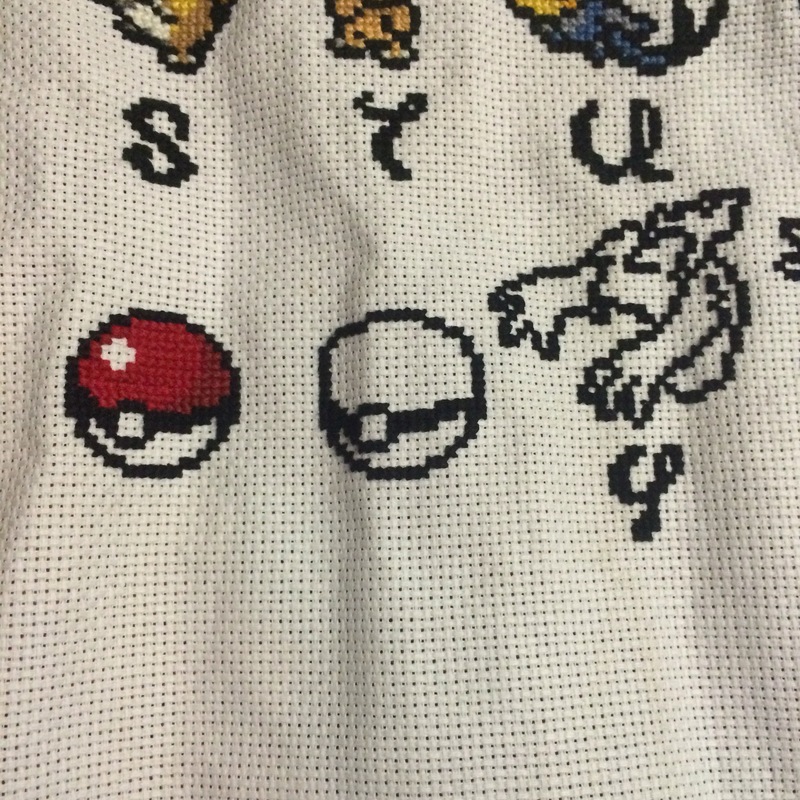 So that is Vulpix finished, the outlines done for Wooper and Xatu and I started on the pokeball. Can you guess what Y and Z will be? 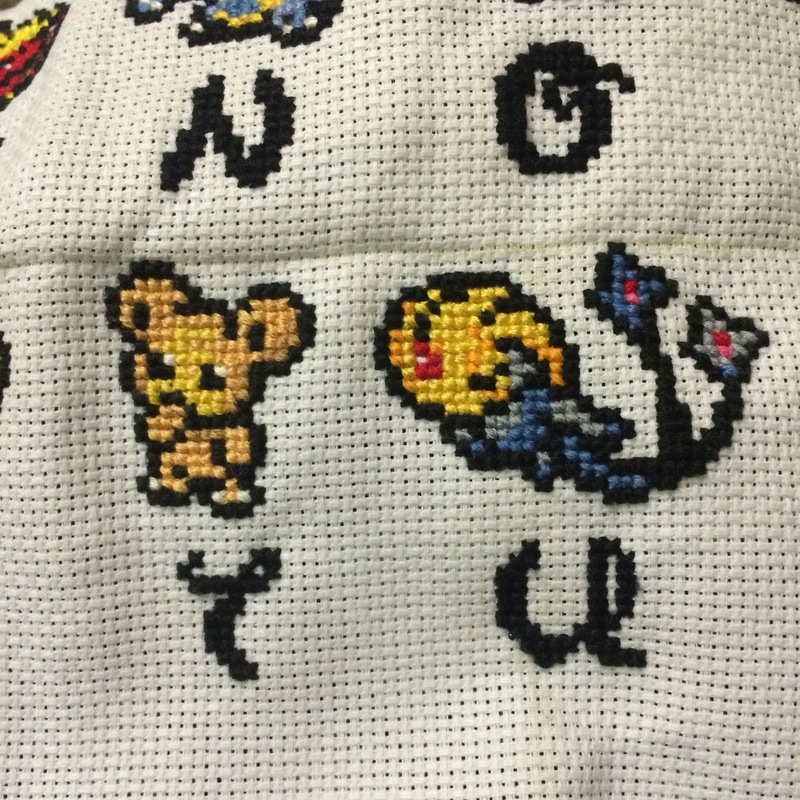 I managed to get 2 done this week (or rather 1 and 1/2 considering I did Teddiursa’s outline last week). Happy Friday everyone! 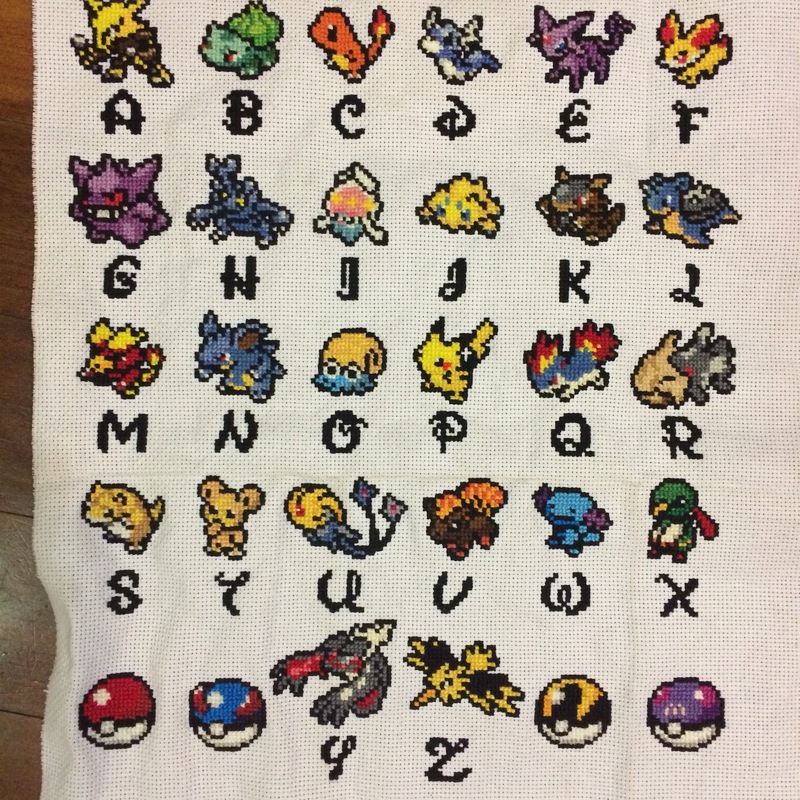 One of my goals for March is to finish the Pokemon alphabet. I’ve had it running for quite a while now and I feel like I need to get it finished.